Hopefully, styling hair is your passion and you love what you do. However, bills don’t get paid off passion alone and if you are offering your styling services to others, it is important to do your due diligence in ensuring that you are being paid generously for your work. There are numerous ways to get paid, with the advent of electronic payment sites like Venmo, Paypal and Zelle, in addition to traditional cash and credit cards. Even social media now has the capability to transfer money between parties, but all of these modes have pros and cons, and stylists should be sure that their preferred payment method(s) are the most conducive to their work style. Here is a breakdown of the benefits and pitfalls of some of the most common payment methods so that whether you have a permanent booth at a salon or are a freelance stylist who makes house calls, you are doing the work and getting paid as quickly and fairly as possible. Cash is probably the most common method of payment in salons. It’s easy to count, makes tipping a breeze and is quick and tangible. Business to Community also points out that cash, unlike, digital payments can change hands without extra processing time or fees attached. Unfortunately, because of the prevalence of cards and e-payments, fewer and fewer people carry cash on hand and while most people know to make a pit stop to the ATM before parking themselves in their favorite chair, there may still be an errant client (or two) who has forgotten to get cash on their way to the shop. Cash also presents a risk for brick and mortar salons, so beauty professionals should be careful when counting money and locking up at closing time. Cash definitely has benefits and should be a go-to method for being paid, but it should probably not be the only way stylists expect customers to compensate them. You’d be hard-pressed (pun intended) to find a person today who didn’t carry some form of plastic with them, whether it is a debit or credit card. Credit and debit cards are easy to use and do not require counting, safe storage or regular trips to the bank like cash does–they are the responsibility of the owner. 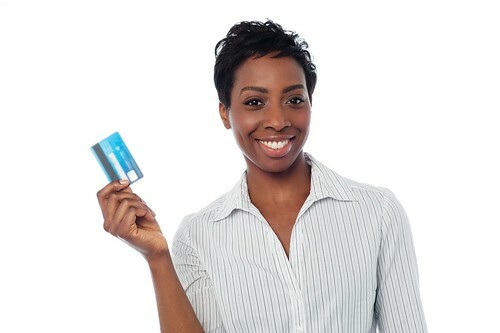 Credit cards can also make a salon more desirable for clients who have an appointment but may not have time to get cash. However, they can also be less convenient since accepting cards requires that the salon or professional have a card reader/swiping machine, which can be costly to buy. Card readers like the Square reader also often take a percentage of the revenue from each purchase, whereas cash and checks keep the full profit in the stylist's hands. 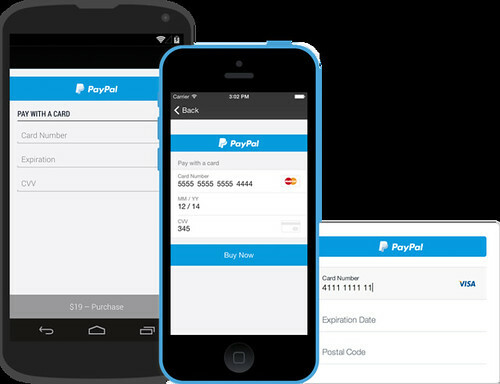 Between Venmo, Chase Quickpay and even options on social media outlets like Facebook and Snapchat, the options for electronic payments are endless and a new one seems to pop up every day. Electronic payments automatically record who pays what amount so keeping track of payments is a breeze. Some, like PayPal are even capable of generating receipts, invoices and certain tax forms. E-payments make it possible for the client to pay in advance so there is no hold up between finishing with one customer and starting with another. If a client asks for or is given an additional service, e-payments can easily adjust the amount of money the stylist needs to be paid. Electronic payments are also excellent for stylists who travel or work out of their own home because there's no need to carry cash to make change, or keep a card swiper on-hand. Like cards, however, electronic payment methods can come with service fees that will often make it more expensive for the client to pay and/or shave off a portion of the stylist's profit. Electronic payment methods also typically require some form of bank information and should never be used over insecure internet or data networks. While the public nature of e-payments can be excellent for keeping track of payments (and holding clients accountable) it may make some people uncomfortable so make sure all patrons are comfortable using an e-payment system. Checks have quickly fallen out of favor as a preferred payment method. Between 2000 and 2012, the amount of check transactions dropped 50 percent according to NPR. But checks can still be useful. Checks are still used for larger sums of money and account for 22.9 million transactions annually, NPR notes. For stylists, checks can still be a good way to be paid for more time-consuming and expensive styles like braids or longer weaves. Firstly, checks can be deposited remotely from the mobile apps of most banks and also provide a hard copy record of payments. However, since most checks contain the personal information of the person paying, there could be a security risk if they are not stored and properly accounted for. Stylists and/or cashiers should also be sure to be as prompt as possible when depositing checks to ensure that the money is in the client’s account and avoid bounced checks. The methods of getting paid change and multiply with each passing day. Working as a hairstylist, while fun and creative, requires a lot physically and mentally. Choosing the best payment method for your work style can allow making a living doing what you love to be less stressful for you and your soon-to-be happy customers. Think of it this way, the less time you spend bookkeeping, the more time you can spend making sure each and every one of your clients is slayed to the gods!